In numerous excursions to different areas of the city, I collected sounds and noises. In addition, I conducted several interviews about the soundscape of Belgrade with people of different ages and backgrounds. The resulting comprehensive acoustic archive, or memory, became the basis of my compositional approach. One characteristic of Belgrade is its numerous peripheries: Even within the historic city center, you may quickly and unexpectedly find yourself in fringe areas. The transitions are sudden – when it comes to sounds, you abruptly move from loud and noisy areas into others that are delicate and subtle. Also, I discovered circles in various contexts: in architecture, in ornaments, in traffic regulations; even time seems to be perceived as circular rather than clocked and linear as it is commonly understood in central Europe. I designed a score by using my city map: The location of my apartment was the center, around which I drew eight concentric circles. During the compositional process, all the recordings from each of these rings were combined into one layer, resulting in eight musical layers. The piece was then composed with eight channels, for a setting that uses eight speakers. On this CD, you will hear a stereo version of the piece. 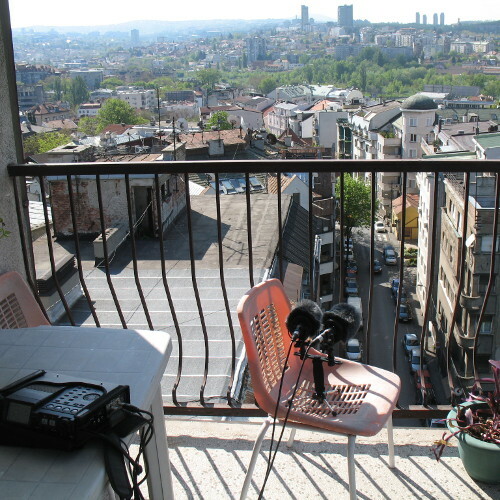 Like in an “acoustic blender,” selected field recordings (some raw and some processed) create a sustained moment of density: a musical likeness of Belgrade. While the components of this sound portrait are taken from the acoustic reality of the city, the compositional process transforms them, giving them a new quality. Belgrade’s highly expressive and captivating character was extracted and abstracted through music. The entire structure is divided into smaller sequences which, however, merge seamlessly. 1. entrée | 4:23 min. I enter the city, slowly approaching its background noise. I take the elevator to my apartment on the sixth floor. If you listen from my balcony, you can make out some of the city’s ambiance. 2. induction | 6:00 min. Part of the raw material for this piece is a recording of a model of Nikola Tesla’s induction motor with an egg-shaped rotor, found in Tesla Museum, Belgrade. The rotating motor and the magnetic field it creates lead to the “egg” spinning on its major axis and standing on end. The other part of the material for this piece comes from the two fountains in front of Belgrade’s Tesla and Tito Museums. The sounds of the rotating “egg” merge with the polyphonic song of the rushing water. 3. nijemo kolo (mute dance) | 4:02 min. This piece functions entirely without pitch, using only noise-like material. It was created in memory of the great number of dead who are buried in this city and no longer have a voice but are etched into the city nevertheless. The piece is fashioned of sound particles such as the sound of the countless flames of slender candles in Orthodox churches as they are snuffed out in water; of the popcorn stands that dominate the city; of nuts, of fireworks, and of the recording of a “njemo kolo,” a silent dance during which only the rhythm of steps and jumps can be heard. 4. zeleni venac (green wreath) | 6:34 min. The urban neighborhood of “zeleni venac” is a hub of people and goods; located right next to Brankova Street, it represents a link to both Novi Beograd and Zemun, a neighboring suburb. The area consists of a major bus terminal with a large-scale underpass alongside an open market. The former restaurant “To the green wreath” has been turned into a McDonald’s. You will encounter Romany selling their goods or playing music amid the masses of passers-by who are on their way from the periphery to the center of the city. Even the soccer players, a common sight all across the city, take center-stage acoustically in this piece. 5. escalator | 4:41 min. Beginning with the recording of an escalator at the “Sava Centar,” this piece takes you on a journey through a number of Belgrade’s neighborhoods. Moving virtually on this escalator, acoustic windows open intermittently to present the atmosphere of one or another of several locations: a concrete mixer on the Ada Ciganlija, birds in the zoo, frogs on the Great War Island, rattling racks at the marketplace of Zemun, and much more. 6. Karaburma (black ring) | 8:32 min. The Northeastern neighborhood of Karaburma is where the oldest (Celtic and Roman) settlements of Belgrade were located. Originally situated right next to the Danube, the area was partially a swamp with hot springs that created a constant mist. It was under Turkish rule that the district was first called Karaburma (“black ring”), referring to a forbidden place that people should avoid. In the 19th century, under Prince Milos Obrenovic, executions were carried out there, which only added to the area’s notoriety. Today it is one of Belgrade’s most densely populated neighborhoods, with large apartment blocks. Bordering Karaburma is a sizeable locality settled exclusively by Romany, who live according to their own culture. This historic background, as well as recordings that were made during multiple visits to the area, are what fuels this piece. 7. Tito’s Rondo | 3:18 min. Historic recordings of several speeches by Tito that reveal much about his political thought served as the basic material for this piece. Even in the 21st century, Tito still occupies a central place within the collective memory of Serbia and all other countries of the formerly united Yugoslavia. 8. Interviews | 5:22 min. Several people I interviewed talk about acoustic features of Belgrade. An electronically generated pitch reinforces the natural pitch of each person’s voice. 9. turn | 8:48 min. Immediately following the interviews, the listener is taken on one more acoustic tour through the city. Embedded in rapid glissandos derived from the interview partners’ voices, characteristic sounds of Belgrade emerge: the bells of the Temple of Saint Sava, crowds from the countless local pubs, animal sounds from the zoo, polyphonic sacred songs, a streetcar. All the previous pieces appear once more in a compressed, miniature version. who kindly agreed to be interviewed for this project. Katharina Klement may be more well-known to many as a contemporary classical pianist, and indeed many of her solo albums of piano music can be found on her own KalK label since 1996, although she’s also represented on the Austrian label Extraplatte. 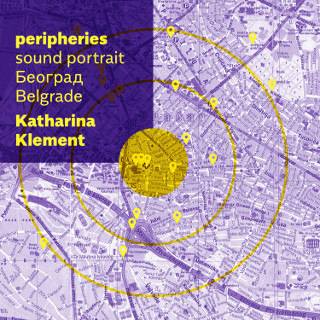 On Peripheries: Sound Portrait Belgrade (Gruen 173) she’s demonstrating her very able skills in the genre of documentary / field recording, and unlike Namblard she’s concentrating on an urban area for inspiration and sounds. Indeed she has explicitly set herself a challenge to convey the truth of this city with her microphones, or to use her own words: “what does this city sound like? Is it possible to portray it using sounds?” Her own response was comprehensive, to say the least. She not only recorded sounds of Belgrade, but interviewed the locals, building up what she calls an “acoustic archive” over a period of nine weeks. But it wasn’t just about sound; through her peregrinations, she found Belgrade to be a place of “numerous peripheries”, by which she means you can turn a corner at any moment and enter a “fringe area”, as it were a pocket of space outside the bustling city centre, moving from loud and noisy places into quiet zones in a matter of seconds. Further: the motif of the circle imprinted itself on her creative brain, and I suppose once she’d spotted it she started seeing it everywhere – on buildings, on decorations, road signs. Klement felt that she now had a map in her hands, a map of the city which clearly had been drafted through her own singular creative process. Many readers will recognise this as something not unlike the Situationists and their “dérives” of Paris, except they were trying to subvert society and normalcy by going against the grain of the map with their meandering, purposeless walks. By contrast, I would say that Katharina Klement was trying to seek out a hidden truth, and may have come close to cracking the code of Belgrade. She used this information as the basis of her composition, one in which concentric circles naturally played an important part. There is an eight-channel version of the work; we get a stereo version on this CD. Besides her summary of the compositional process, there are also paragraphs of notes attached to each of the nine episodes on the CD, which reveal further fascinating details of the life of Belgrade and the unusual objects and places she thought fit to record. These include a Tesla induction motor, housed in the Tesla Museum; Romany markets and musicians in Zeleni Venac; and a magic escalator ride that starts in a business centre and takes the listener past the zoo, an island, a marketplace, and a concrete mixer. In just nine weeks, this remarkable composer learned and absorbed a lot of history, got to know several people, and demonstrated remarkable sensitivity to capturing the nuances of their voices in interviews, ultimately telling many stories about Belgrade in her imaginative and well-crafted sound explorations. It takes a rare mind that is able to reach and understand the heart of a place as thoroughly and as sympathetically as Klement has done with this work. Such works remind us why artists, not politicians or town planners, should be put in charge of managing the layout and throughput of large cities; the results could only be beneficial for everyone in society. Il faut souvent s’armer de patience avant d’écouter un disque Gruenrekorder – label, rappelons-le, spécialisé dans le eld recor- ding. Je veux dire : lire les textes qui posent le décor de l’enregistrement, relier des coordon- nées géographiques à des points cardinaux, voire suivre à la trace et au fur et à mesure de l’écoute le musicien (ou le capteur) qui a décidé, un beau jour, de livrer son travail sur CD. Avec la pianiste contemporaine Katharina Klement, c’est un peu di érent. J’explique : j’ai fait deux écoutes de Peripheries. Une sans m’intéresser à son projet, et en y laissant traî- ner mon oreille. Ce que ça a donné ? Comme un violoncelle qui claque avec des bruits venus de partout : des sirènes en milieu ur- bain, des objets remués dans tous les sens, des musiciens des rues, des ventres de pia- no, les crissements d’un terrain de basket… De temps en temps elle s’amuse à looper ce qu’elle a enregistré, et la scène perd de son concret pour résonner d’une autre manière. (un peu plus de piano, la seconde fois peut- être ?) mais deux fois il m’a subjugué. Non, le mot n’est pas trop fort : son équilibre entre eld recordings bruts et composition abs- traite m’a littéralement subjugué. Non, le mot n’est pas trop fort : littéralement ! Neun Wochen verbrachte Katharina Klement vor drei Jahren in Belgrad. Die Frage, die sich ihr stellte, war, ob und, wenn ja, wie ein akustisches Städteporträt funktionieren könne. An verschiedenen Plätzen – vor allem an den Peripherien der Stadt, wie der Titel schon erklärt, aber auch im Zentrum – sammelte sie Klänge und Krach, Stimmen und Stimmungen und führte Gespräche mit Einwohnerinnen unterschiedlichen Alters über ihre individuellen Hörwahrnehmungen. Der Sound der Donaumetropole, multikulturell in jugoslawischen, nicht mehr ganz so in serbischen Zeiten, mit seiner reichen Geschichte an römischen, keltischen und türkischen Einflüssen, ihrer gesellschaftlichen und historischen Nichtlinearität, ihrer Ambivalenz. Das akkumulierte Klangarchiv bzw. das akustische Gedächtnis Belgrads bildete die Basis für eine Komposition. Wir hören Ambient und Statements, städtische Formationen, Informationen und Transformationen. Das auf field recordings spezialisierte Gruenrekorder-Label erweist sich dabei als ideale Homebase für Klements Belgradkomposition. Der Sound der Straßen, Plätze, Märkte, Kirchen, Kinder u.v.m. ; auch widersprüchliche Eindrücke, manche rauh belassen, unbehandelt, manche behutsam elektronisch hinter-, zusammen- oder übereinandergelegt, komponiert eben. Eine sehr aufwändige, besonders schöne Arbeit. 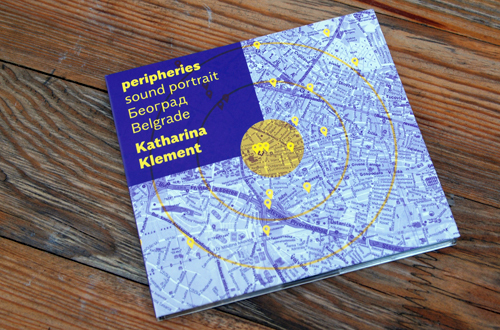 It’s fitting that these Gruenrekorder releases by Katharina Klement and Marc Namblard respectively appear as part of the label’s Sound Art Series and Field Recording Series: peripheries is very much a highly personalized sound portrait the artist fashioned of Belgrade, whereas F. Guyana is a relatively undoctored set of field recordings collected at French Guiana. Both releases benefit from Gruenrekorder’s customary dedication to high-quality presentation, with each fold-out package supplementing its CD with a full-colour booklet of photographs and text that thoroughly enhances the project. Each also rewards a headphones-styled listen when its sound field is so rich in detail and panoramic in spatial definition. 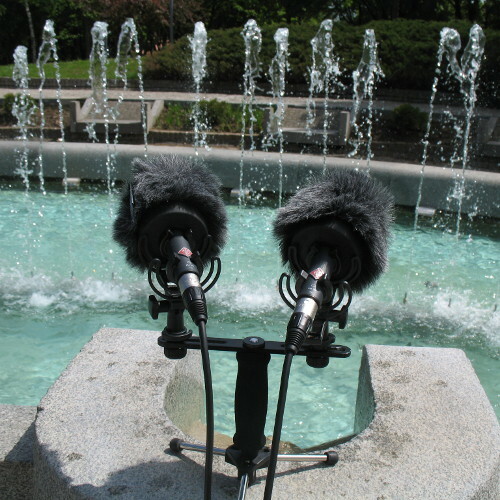 In 2014, Klement, an Austrian-born and Vienna-based sound artist, spent nine weeks in Belgrade where she collected sound materials from various parts of the city to help answer the questions, “What does this city sound like?” and “Is it possible to portray it using sounds?”; to help flesh out those answers, she also interviewed people of different ages and backgrounds about the city. 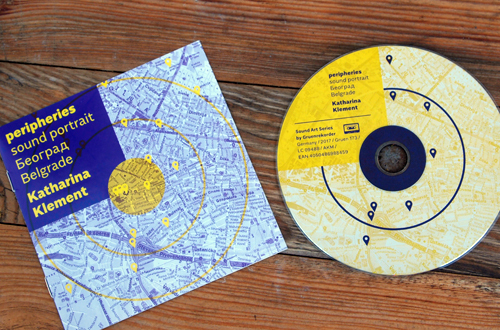 In conceptualizing the proposed work, she designed a score using her city map with her apartment as the center around which eight concentric circles were drawn; recordings gathered from those demarcated zones were then shaped into eight musical layers to produce a presentation piece featuring eight channels and eight speakers (the fifty-two-minute CD presents a stereo version). The field recordings and interviews give the work a site-specific character, but the artist is very much present in the way the material has been shaped into a nine-part portrait that captures the vitality of the city. Austriacka eksperymentatorka wybrała się do Belgradu, żeby odpowiedzieć sobie na kilka pytań związanych z fonosferą tego miejsca. Katharina Klement pochodzi z jakże zasłużonego dla historii muzyki współczesnej miasta Graz, choć obecnie mieszka w Wiedniu. Kompozytorka, pianistka i improwizatorka często w swoich kompozycjach wykorzystuje na różnych poziomach preparowany fortepian oraz elektroakustykę. Wydaje płyty od przeszło dwudziestu lat. Oczywiście nie jest jej obcy także soundart o czym świadczy najnowsze wydawnictwo , pt. „peripheries”. Artystka spędziła w 2014 roku dziewięć miesięcy w Belgradzie, koncentrując się na zadawaniu pytań i szukania na nie odpowiedzi: Co to jest za miasto? Czy można je przedstawić za pomocą dźwięków? Z tego, co wyczytałem, zebrała pokaźną ilość materiału, odwiedzając przeróżne miejsca, gdzie napotykała hałas, zgiełk i delikatność. Słyszymy też fragmenty rozmów jakie Klement uchwyciła chodząc po stolicy Serbii. Katharina podkreśla, że charakterystyczną cechą Belgradu są rozległe peryferia oraz nietypowy układ architektoniczny, który zainteresował ją w kontekście rejestrowanych nagrań. To, co uzbierała, następnie poddała studyjnej edycji (m.in. użyła do tego wielokanałowych głośników, ale na płycie stykamy się z stereofoniczną wersją). Jej zabiegi z dźwiękiem, formą nadały temu projektowi soundartowego wyrazu. Zaintrygowało mnie wiele rzeczy, ale wynotowałem np. zestawienie odgłosów podeszwy buta uzyskane w trakcie meczu koszykówki z elektroakustycznymi preparacjami („zeleni venac / green wreath”). Klement prowadzi nas do wielu fascynujących miejsc (ciężko je wszystkie zliczyć). Warto wymienić choćby historyczną dzielnicę „Karaburma (black ring)” sięgającą korzeniami do czasów celtyckich i rzymskich. Pierwotnie położona tuż obok Dunaju. Sam obszar był częściowo pokryty bagnami z gorącymi źródłami, które stały się swego rodzaju wizytówką. W XIX wieku, pod rządami księcia Miłosza I Obrenowicia, przeprowadzono tam liczne egzekucje, tylko dodające rozgłosu tym okolicom. Ogólnie mówiło się o tym miejscu jako zakazanym, złowieszczym etc. Dzisiaj jest to jedna z najgęściej zaludnionych dzielnic Belgradu z dużymi blokami mieszkalnymi. Z Karaburmą graniczy osiedle zamieszkałe przez Romów. W „Rito Tito” z kolei mamy okazję posłuchać historycznych przemówień Tito, a także fragmentów wypowiedzi ludzi dotyczących akustycznych cech Belgradu ( „Interview”). Ktoś kto zna bardzo dobrze Belgrad będzie miał niecodzienną lekturę w postaci „peripheries”. Ja nie znam tego miasta, ale poczułem się tak, jakbym odbył pieszą wędrówkę po zakamarkach tego multikulturowego miasta. What comes to mind when you think of Belgrade? Katharina Klement went on a nine-week mission to discover the sound of the city, and came away with a multitude of answers. peripheries plays like a sonic photo album, the images more important than the flow. While the album begins with a thump, the field recordings soon settle into a sort of rhythm. As the set progresses, a tapestry is revealed. The overture of the city is heard from a balcony: dogs, sirens, traffic, street music, passers-by. A discernible hum emerges. Is this Belgrade? Can a single chord, a melange of sounds, sum up the city? Klement answers with an emphatic no. Her explorations reveal jagged edges and clear demarcations, from Tesla’s gorgeously amplified induction motor to the bells of Saint Sava. An unexpected poignancy visits during “nijemo kolo (mute dance)”, though one must read the liner notes to detect it. On the surface, the piece sounds like a work of electro-acoustic experimentalism, similar to that of artists on the empreintes DIGITALes label; but the clicks and clacks, the static and snuffings have a deeper meaning. The piece is dedicated to the silent voices of the city, as the dead speak through candles and the feet of quiet dancers. In the next piece, the voices of the living push them under, but the impression remains, just like the memory of the beloved Zeleni Vanac restaurant, now replaced by *shudder* McDonald’s. In an age of multiculturalism, this information prompts the question of city identity. As distinctive locations and representative sounds are replaced by ubiquitous intruders, the intention that one will feel at home everywhere is replaced by an opposite feeling, a lack of local connection. Klement’s concentric tours tether the listener in more specific sounds, although the zoo recordings hammer home the point, as zoos capture creatures from different areas and gather them in one place so that people don’t have to travel elsewhere to see them. The most fascinating and culturally relevant portions of the album arrive as local residents are invited to speak about the sounds of the city. The first speaks of the “characteristic” sound of the trolley bus, the second of “small sounds” that are lost in the din. As others speak of the bells or the river using onomatopoeia (“tuk-a-tuk-a-tuk-a-tuk-a-tuk”), another sound begins to sink in: that of accent. The interviewees speak English, yet can only be from Belgrade: pride and pronunciation combined. What does Belgrade sound like? Like kindness and busyness, sound and silence colliding; like crowds and corners, history and commerce vying for space. In many ways, it may sound like your nearest city; but Klement has underlined its distinctive nature in unmistakable ways. If one’s mind is a sonic map, Belgrade is now clearly marked in large, colorful font. Katherina Klement is someone who we mostly know for her work within the field of improvised and composed, mainly with her on the piano. 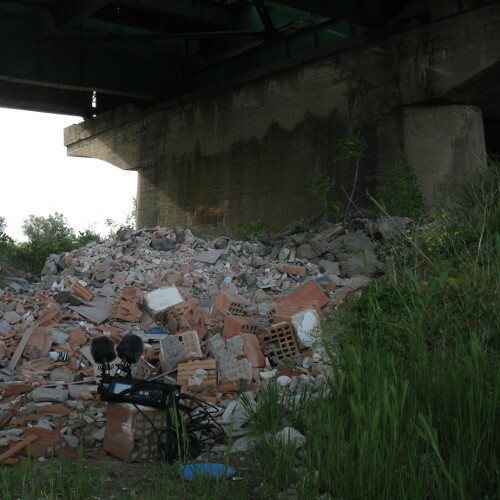 But apparently she is also involved in the world of field recordings and in 2014 she spend nine weeks in Belgrade, „focusing on the questions: ‚what does this city sound like? Is it possible to portray it using sounds?‘ and to that end she not only recorded sounds from the city but also she interviewed people. As Belgrade is a (I didn’t know this) city of numerous peripheries, she drew concentric circles on her map as to design a score, and in each piece she uses sounds from that specific circle. Each of the pieces is described here in the booklet and unlike Namblard Klement layers various sound events together to make a musical composition out of sounds from the city. She uses sounds from market squares, elevators, sounds from the Tesla Museum, concrete mixers, animals in the zoo and even historical speeches by Tito, the first president of Yugoslavia. Klement draws from a wider selection than Namblard does, but also seems to be doing much more when it comes to editing and layering of sounds. Whereas Namblard is mainly about the minimalist approach towards field recordings and create musical piece with these sounds, Klement is more into telling a story with sounds. Maybe one not necessarily gets the story of Belgrade (certainly if one has never been to the city before; it is perhaps not easy to say where this city is, based on hearing these pieces and that includes the Tito talk), but abstract as it is, it is also a fascinating piece (nine of them) of music. Klement is not shy to bend and shape tones, pitch them up or down as she sees fit, as long as it is necessary for the actual composition. Both of these new Gruenrekorder releases are excellent, but I preferred the one by Namblard to the one by Klement, mainly for it’s minimal approach that worked out quite musically.